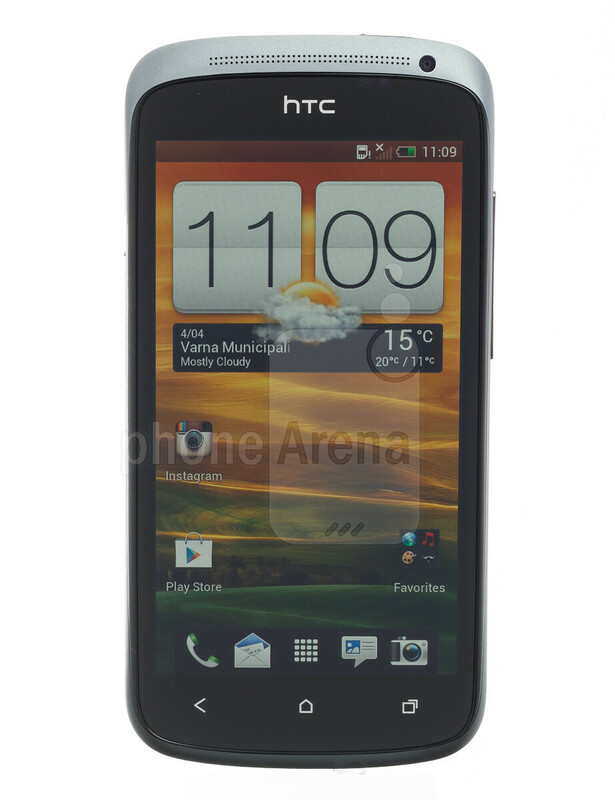 This is a review of the international HTC One S version. The phone is scheduled to arrive on T-Mobile in the US with AWS frequencies. 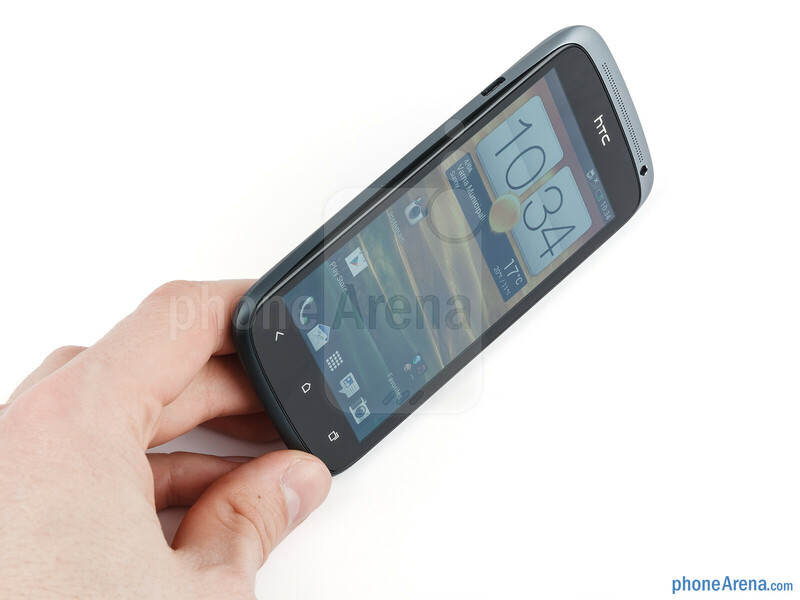 HTC One S is the middle child in the new One series of the Taiwanese smartphone maker, taking it down a notch from the flagship HTC One X, while floating above the One V munchkin in terms of hardware. It has a lot going for it, though, being HTC's thinnest device to date, sporting a metal ceramic-coated or anodized chassis, and featuring the fourth generation of Qualcomm's Snapdragon chipset plus a dedicated HTC ImageChip for the camera. 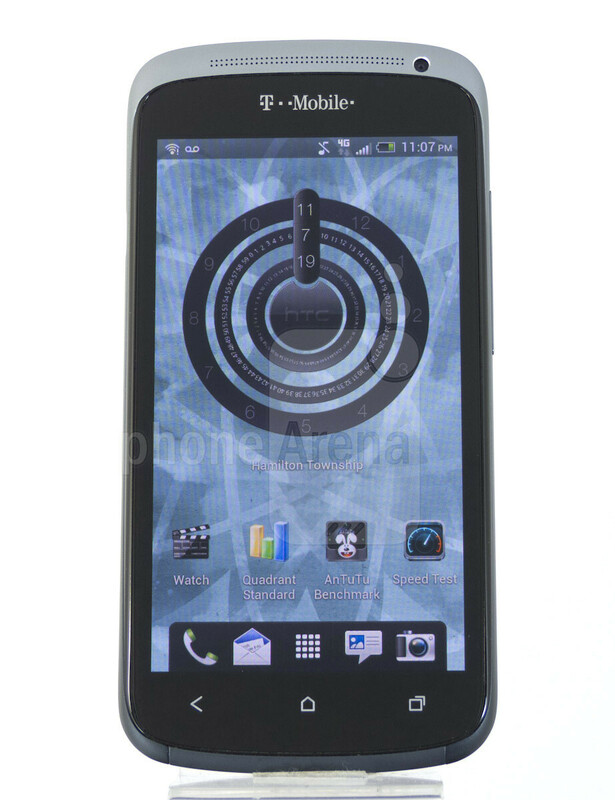 Not to mention that it comes with the latest Android 4.0 Ice Cream Sandwich and the tailored for ICS Sense 4.0 user interface overlay. It also has a lot not going for it, especially if you frown at the trend of smartphones with non-removable batteries and lack of memory card slots for storage expansion. 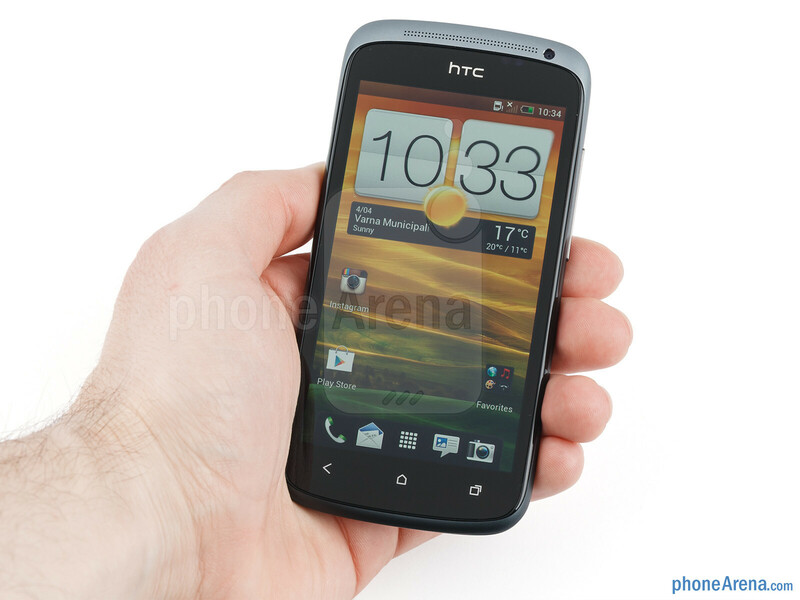 The first impression upon grabbing the HTC One S is how compact it is for a 4.3-incher. 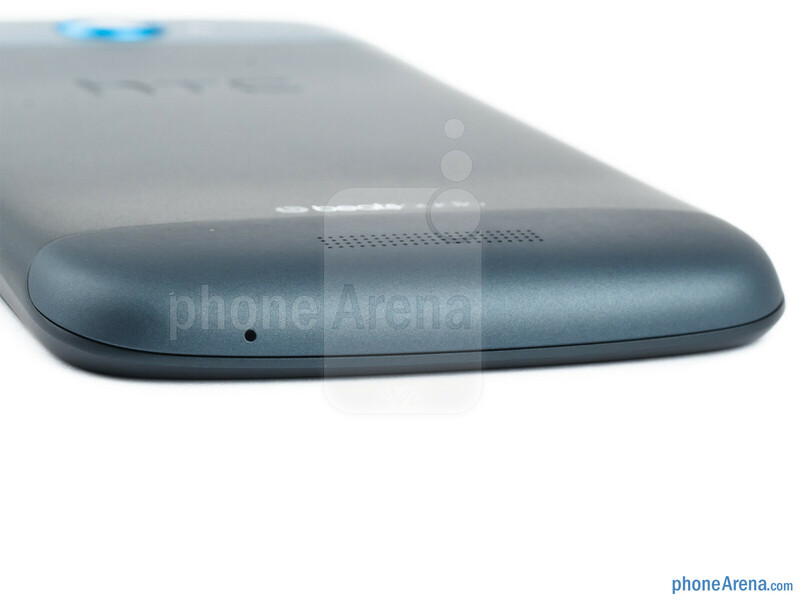 The handset's 0.3” (7.8mm) thickness makes it one of the slimmest and most compact Android phones out there, and the only place where the slightly curved design gets thicker is the 8MP camera lens circle protruding slightly on the back, hinting at an HTC design heritage. The lens's rim is blue in our anodized aluminum unit, and red on the black version with the ceramic metal coating. The One S is definitely a break from the Sensation line slabs, but as with all very thin phones, it is a bit fiddly to pick up when lying on a flat surface. 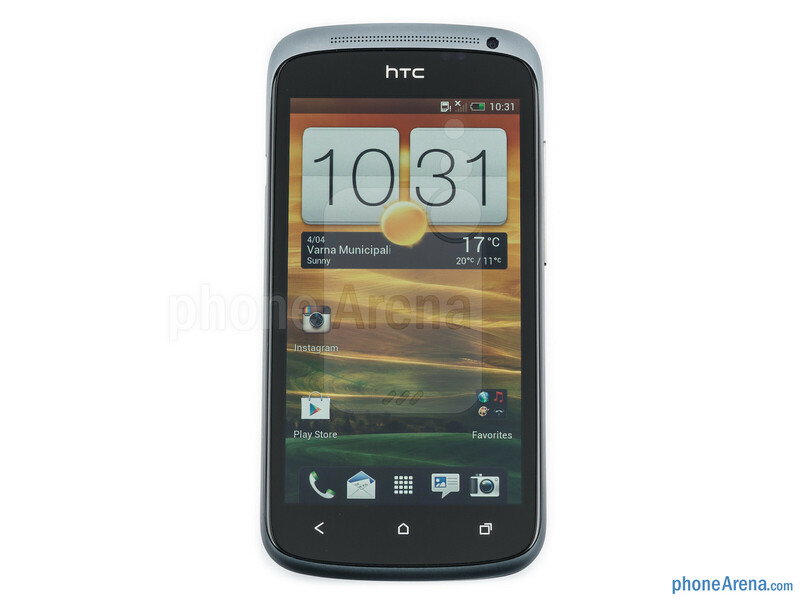 You can compare the HTC One S with many other phones using our Size Visualization Tool. 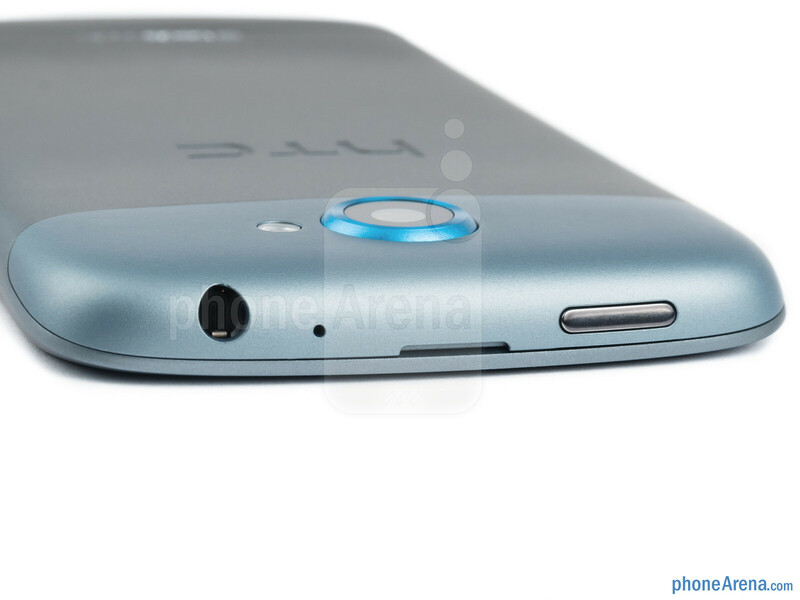 Despite the chassis made of anodized metal, our gradient blue HTC One S is also remarkably light at 4.2oz (120g) – this is almost as light as the 4.1oz Galaxy S II, which carries a display of the same size, but is all-plastic. The chassis has a fairly narrow and elongated profile, too, which helps with one-handed operation, allowing your thumb to reach across the display easier. The volume rocker on the right and the power/lock key up top are easy to feel and press, with good tactile feedback. HTC outed a dedicated video about the technology behind the One S's frame, called Micro Arc Oxidation, which is used for the black version of the handset. 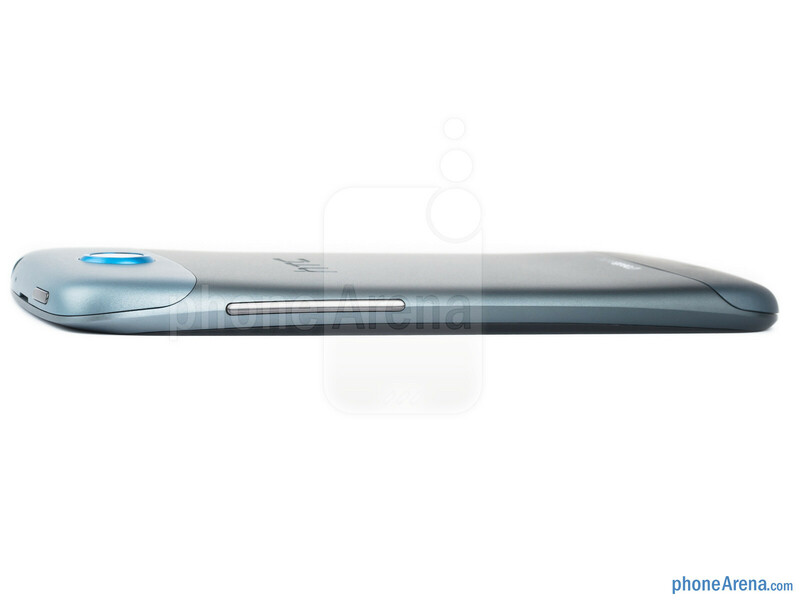 We are particularly interested in it, as it results in a metal ceramic composite fusion coating the chassis, which is said to be on the Galaxy S III body as well. Geeky, we know. The tech involves 10, 000 volts zapping the aircraft grade aluminum until the oxidized metal reaches tensile strength a few times that of stainless steel. 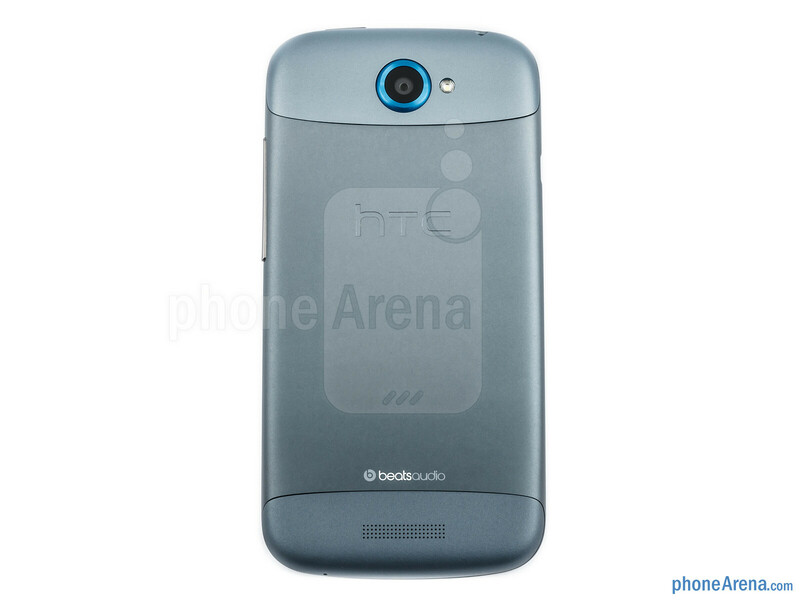 HTC is clearly experimenting with modern alternative materials for its phones, as it uses polycarbonate for its flagship One X, for instance, like on the Nokia Lumias, instead of its usual aluminum cutouts. The top and bottom parts of the back are plastic, though, for easier antenna signal penetration. 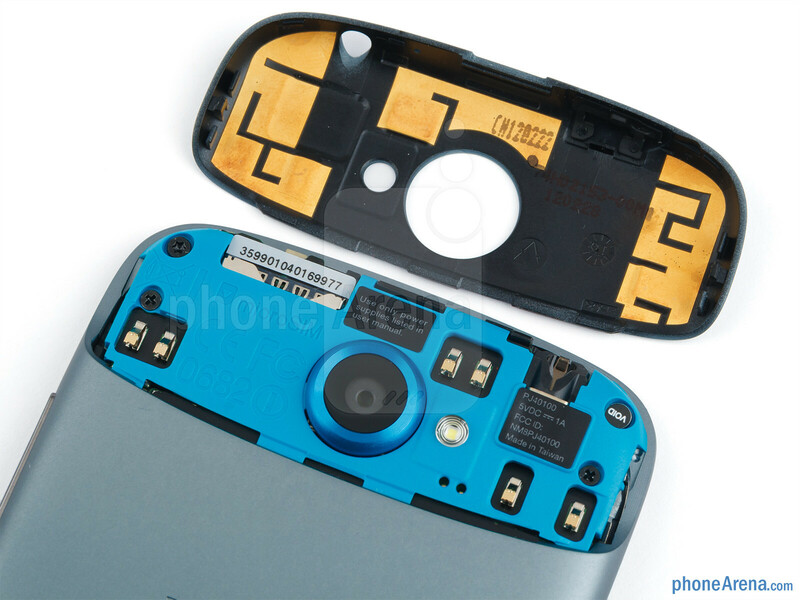 The top piece, which is painted in a slightly lighter hue than the rest of the phone, can be easily pried open for inserting a micro-SIM card, but that's that. No microSD card slot there, and no way to swap the battery without cracking the phone open, which might be a dealbreaker for some. 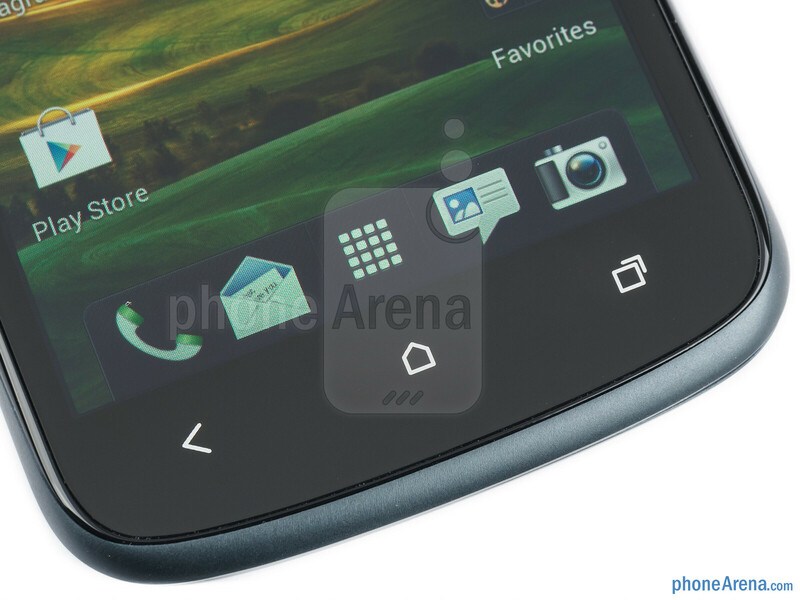 The front features a waterfall design, with the edges falling off seemingly uninterrupted to the sides, like on the One X, but upon closer inspection the screen part is still very slightly recessed, so it's mostly an optical illusion. The 4.3” display is of the OLED variety and of a Samsung make, like the S-LCD piece on the One X. That means you get vibrant, yet quite oversaturated colors and pitch blacks, resulting in an almost infinite contrast. The cold colors that plague Samsung's Super AMOLED screens are present here as well, especially when you tilt the phone from about 30 degrees onwards – white quickly starts to turn even more blueish. Otherwise the viewing angles are excellent, and the image doesn't fade or lose brightness almost until the end of the curve. The screen sports 540x960 pixels of qHD resolution, meaning a decent 256ppi pixel density, and one can easily tell it uses the PenTile RGBG matrix arrangement. PenTile somewhat improves brightness and power consumption, but some elements like icons, especially greens, and zoomed text might look pixelated to the trained eye, because of the honeycomb pixel structure. The average user probably won't even notice though, but if you are not fan of the alternative PenTile pixel arrangement, consider yourself forеwarned. Whether due to the 30% less pixels in the PenTile arrangement that allow more backlight to pass through, thus making the screen much brighter, or due to good antireflective coating, outside visibility is very good. Even with the sun shining directly on the screen, you are still able to work with the interface comfortably, which usually comes with displays north of 500 nits of brightness, and that's what we have here. Not an HD display, but still a very decent screen is what greets you on the HTC One S, unless you are striving less “eye-popping” color gamut. this phone got a higher score than One X? Almost forgot. The One S has half the built in storage. That gives it a higher score from PhoneArena too. Different Reviewer. Maybe Daniel P. would have given HTC One X higher score. I thought Ray compared two ONE series devices with their designs. There's no doubt the One S has a better material chassis than One X. And I guess the browser issue in One X gave a bad image to Ray. Aircraft aluminium vs polycarb. Either one is pretty awesome, and much more durable in a fall than the iphone's glass-aluminium composite. I don't know why some people don't like the one piece polycarbonate bodies. 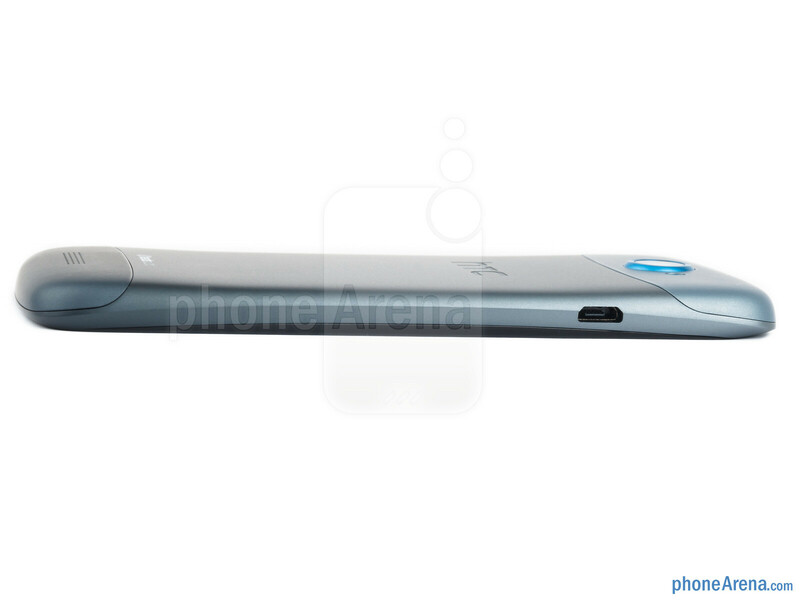 The N9 is rather damn good actually, so whatever tickles your fancy.. The one reviewing the phone was an Applefanboy. 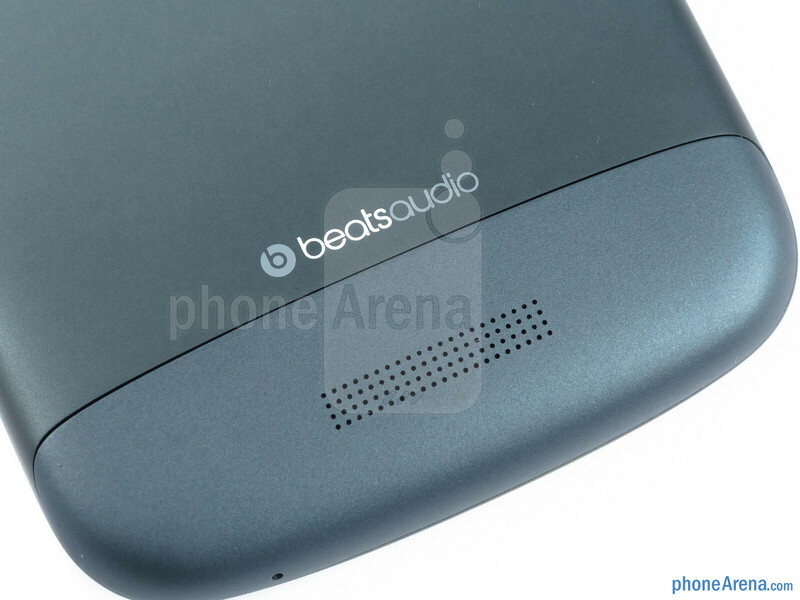 You could tell during the review and when they pitted it against the iPhone. It was that same guy. "What a surprise". This seems to be a more reasonable guy and the score seems more justified. Also dont let Victor H. review anything. And this score is correct i think but One X should have got 8.5. You would be surprised. The Snapdragon CPU in this phone scores better in all benchmarking apps that I have tried. Also, just because it doesn't have the HD resolution of the One X, doesn't mean it should be scored down. In fact, it has a better display technology than the One X and is made out of aircraft-grade aluminium which has been oxidized to make it four times as strong as stainless steel. The scores are probably based on overall performance and user experience, and with the One S featuring the better CPU with the same amount of RAM on a smaller screen, will perform better. why couldn`t you review One X ? i am sure it deserved an 8.5. You are very correct my friend. Some people just lack common sense. Almost every benchmark test is better with the One S. The CPU is of a newer generation, plus it has better display technology and a screen size that is considered in the middle (not too small and not too big). The build quality is also much better than the One X. I'm assuming the scores are based on overall performance and user experience, and in comparison to these two, the One S is definitely the better of the two in both of those areas. the oneX needs to be reviewed again since it had a big driver update today that was supposed to fix a lot of issues like performance and battery. Maybe all these reviews have been made too early? Maybe all of the reviewers on all related web sites should wait a bit with detailed tests, until the new phones' firmware is somewhat more stabilized and optimized? Maybe after a few months in service? About CONS Video capture is slow to start Fiddly focus in Macro mode Very poor outdoor photos Is that the same camera of ONE X? yep, the same. 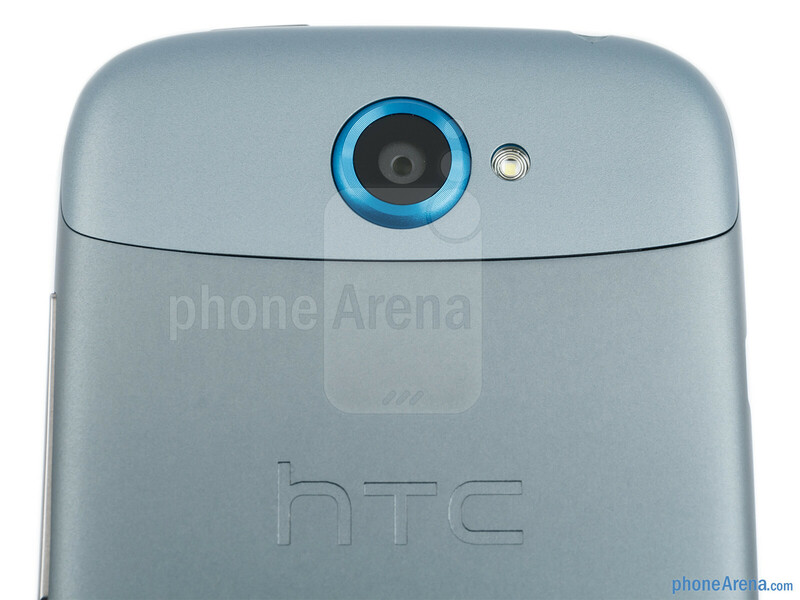 I've always said that HTC don't know how to make good cameras. BUAHHAHA:D Good joke man:) You are on of those blind sheeps who have never ever played with win 7. Try it and you will change your mind what is fluid and what is not. And I'm sorry but alu vs polycarbonate is a matter of taste. 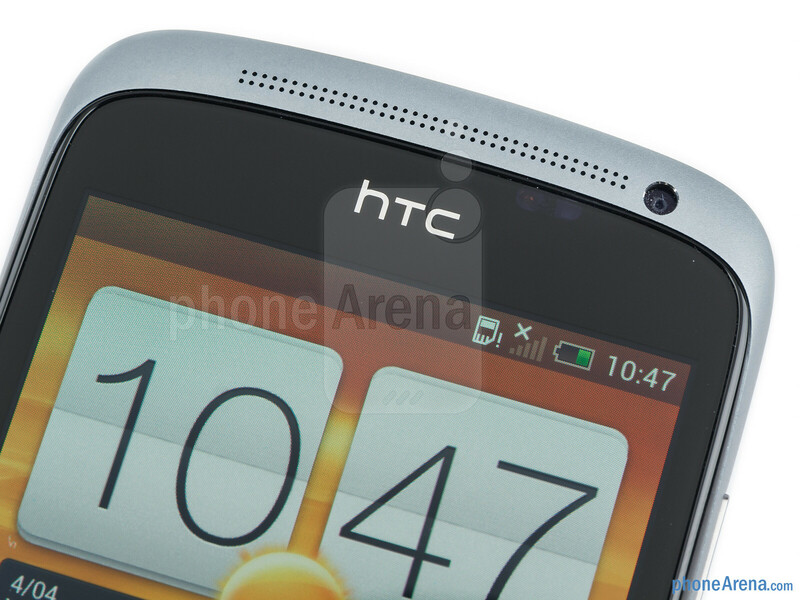 You are against polycarbonate in 900 but remember that HTC used almost the same material in ONE X. And...you have got sissy hands my dear? More than 8 mm is to thick and to uncomfy to hold? I don't like szajsung but...saying that this half-unpolished-old phone is better than S II is just...well...put away your pills, will you?